The Human Thigh Bone Is Stronger Than Concrete. Light in weight & hollow human bone is even stronger than concrete. The force required to break the bone is heavily dependent on the angle on which the force is applied. Your thighbone (femur) is the longest and strongest bone in your body. Because the femur is so strong, it usually takes a lot of force to break it, yet it gets fractured. 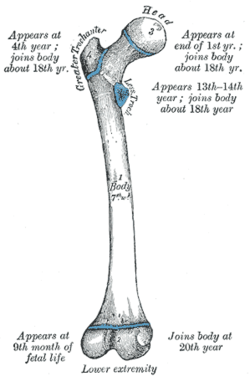 The chances of the thigh bone fracture are very rare if force is applied at 180 degree (in the direction of the length of bone). But only 20 lb. force applied at 90 degree is enough to break it. Nice post. Jhansi Orthopaedic Hospital is renowed name for being the best fracture healing hospital in Jhansi at affordable price. For any query visit website.